The winner of our first distributor of the year award is our Japanese distributor; Parker Corporation. 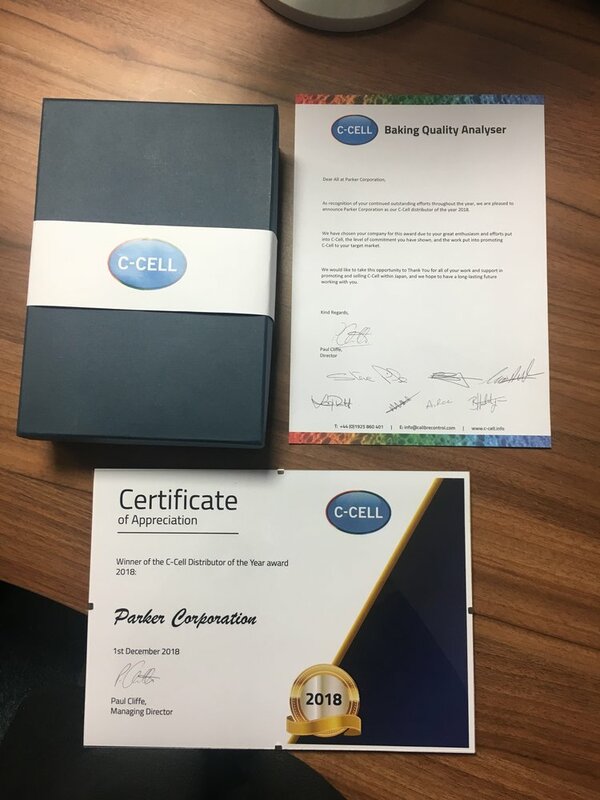 Parker Corporation joined as a C-Cell distributor back in 2015 and hit the ground running straight away with their outstanding commitment and attitude towards C-Cell. They have sold a variety of Laboratory instrumentation to some of the biggest bakeries in the world, alongside Japan’s biggest ingredient producers and breeders. We would like to take this opportunity to thank all of our distributors for their commitment and enthusiasm with C-Cell over the years. Keep an eye out for our next winner for 2019!